This is the last post from my self esteem series. If you missed any, here are the links to the others: Self-Esteem Defined, Self-Esteem Destroyed, Self-Esteem Designed by God. I hope you have enjoyed and benefitted from them! My final post on self esteem is going to be very Bible heavy which is only fitting since my last post pointed out our dependency on God’s word to develop proper self-esteem. Our goal as Christians is to follow Christ’s example and imitate Him in every facet of our life and when it comes to self-esteem this goal should be no different. Jesus’ example of having proper self-esteem is all over the pages of the New Testament. It might take a little digging to pull out how He demonstrated it since that term was not used in the first century, so let’s dig in! Jesus Demonstrates Consistency in Thought. We talked in the very first post about how important it is to be consistent in our thoughts about ourselves and not let emotions or circumstances rule the day. It should be laughable to even imagine Jesus being concerned about a lot of the things we are: expectations, our appearance, or our past. We know that Jesus was not physically attractive (Isaiah 53:2), He did not live up to the common Jewish expectations of the Messiah (John 6:14-15), and His past was one of poverty (Luke 2:24) and being from the wrong side of the tracks (John 1:46). With all of these strikes against Him how did Jesus manage not to fall into the trap of low self-esteem? First, Jesus was consistent in knowing His true lineage. Jesus never wavers from His knowledge as the Son of God. Despite being questioned by government leaders (Mark 15:2) religious leaders (Mark 11:27-28), his own earthly family (John 7:5), his followers (John 6:66) his apostles (John 14:8-11), even the prophet God sent to prepare the world for Jesus’ ministry (Matthew 11:2-3). All of these people at one time or another doubted who Jesus was, but Jesus never hesitated. He knew that He was God’s Son. No one could take that confidence from Him. Jesus knew His earthly past did not matter because He knew where He was going. Third, Jesus was consistent in communicating with God. In case you have never noticed this aspect of Jesus’ character, Jesus was a prayer. He lived a life of continual prayer with His Father. I counted fourteen passages that talk about Jesus praying in the gospel accounts, but I don’t think anyone would doubt that this is merely the tip of the iceberg. I am certain that what kept Jesus’ thoughts consistent was His active prayer life and knowledge of scripture. If the Son of God needed that close of a walk with God, how much more do we! Jesus Demonstrates a Focus on Others. We talked in the very first post about how proper self-esteem causes us to turn outward. A misplaced self-esteem, either too much or too little, will turn inward. We can know that Jesus had proper self-esteem because of His focus on others through service, encouragement, forgiveness, and healing. First, Jesus served. If anyone had the right to make others do everything for Him, then it was Jesus, the ruler of the universe, the only Son of the Almighty God. Yet in John 13 we find Jesus wrapping a towel around His waist and doing a task of the lowliest servant. When the apostles question Jesus’ actions, he tells them, “For I have given you an example, that you also should do just as I have done to you. Truly, truly, I say to you, a servant is not greater than his master, nor a messenger greater than the one who sent him (15-16, ESV). Only someone truly confident in themselves and their purpose could serve others so selflessly. Second, Jesus encouraged. Instead of worrying if others acknowledge who we are and what we accomplish, we need to take a page out of Jesus’ book. Jesus did not need people to feed His ego or make Him feel good about himself. Did he enjoy encouragement? Of course, He was human don’t forget! But Jesus made it a point to encourage others. In Luke 7, a centurion sends for Jesus to heal a beloved servant, but feels unworthy to have Jesus under his roof. He asks Jesus to heal the servant merely by commanding for it to be done since He has authority over all things. Jesus turns to the crowd and says, “I tell you, not even in Israel have I found such faith (verse 9).” What an encouraging statement for the centurion! He is being held up as an example to others, not for his great looks, exceptional leadership skills, or perfect past, but for his faith. Third, Jesus forgave. While there are multitudes of passages where Jesus forgives, I want to focus on one that involved a woman who was in the worst possible condition. She has been caught sinning, brought in front of a crowd for punishment, and put on display to test Jesus. I can only imagine how much she wanted to disappear and how horrible she felt about herself. The people in charge want to stone her in accordance with the Law of Moses, but they ask Jesus’ opinion hoping to be able to charge Him with some wrongdoing. And Jesus tells those who have no sin to throw the first stone. Slowly all of them walk away until only Jesus and the woman are left. John 8:10-11 says, “Jesus stood up and said to her, “Woman, where are they? Has no one condemned you?” She said, “No one, Lord.” And Jesus said, “Neither do I condemn you; go, and from now on sin no more (ESV).” The only person who was sinless and had the “right” to stone her, but He forgives. True self-esteem looks for opportunities to forgive, not condemn. They do all their deeds to be seen by others. For they make their phylacteries broad and their fringes long, and they love the place of honor at feasts and the best seats in the synagogues and greetings in the marketplaces and being called rabbi by others (ESV). As women it can become discouraging to our self-esteem because we do constantly for others behind the scenes. We do the laundry, cook meals, teach our children, volunteer, wash dishes, wake in the middle of the night to deal with crying babies, create a home for our husband, and as far as I know, there is no paycheck or award for these things. It can ruin our self-esteem if we let it, but God promises that He sees what we do in secret and will reward us (Matthew 6:4). Jesus Demonstrates His Identity in the Cross. Have you ever heard the phrase, “the crux of the matter”? We generally use this phrase when we are talking about the most important part of something. The word crux is the Latin word for cross. And just like the crux of the matter is the most important part of something, the cross was the most important moment in Jesus’ life. On the cross He fulfilled His purpose and determined His future. First, Jesus fulfilled His purpose. Jesus had one reason and one reason only for entering this world as a man. 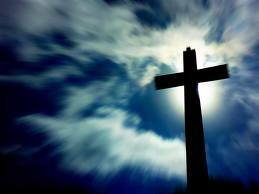 He was to die sinless and innocent on a cross for the sins of the world. From the time sin entered the world, Jesus knew He would one day be required to fix what sin had destroyed, to repair mankind’s relationship with God and conquer death. This could only be accomplished with a perfect sacrifice, given once and for all. If Jesus had not possessed proper self-esteem he never would have achieved His purpose. All that Jesus had to do could only be accomplished if He kept who He was in the proper perspective. If He had thought too highly of himself, He was God after all, than He might have considered dying for humans too beneath Him. If He had thought too little of himself, then He might have concluded that He was not the man for the job because God’s plan just wouldn’t work. Praise God that Jesus kept His focus where it needed to be: on the cross! Have this mind among yourselves, which is yours in Christ Jesus, who, though, he was in the form of God, did not count equality with God a thing to be grasped, but made himself nothing, taking the form of a servant, being born in the likeness of men. And being found in human form, he humbled himself by becoming obedient to the point of death, even death on a cross. Therefore God has highly exalted him and bestowed on him the name that is above every name, so that at the name of Jesus every knee should bow, in heaven and on earth and under the earth, and every tongue confess that Jesus Christ is Lord, to the glory of God the Father (ESV). Jesus’ proper self-esteem as demonstrated through being a servant, humility, and obedience to God led Him to being highly exalted and esteemed. You cannot obey Paul’s command to “have this mind among yourselves” if you do not work on possessing the self-esteem that Jesus had and God offers to us today. When something is very valuable, we say that it is priceless, but you are not priceless, you are worth the ultimate price to God, the price of His Son. So live your lives as women of value and self worth because you are valuable. Not because the world says so or friends say so or the Christian community says so, or your circumstances say so, but because Jesus died and rose to make it so.